It’s time for the monthly Random Journal Day Link-up with Dawn and other brave hearts. It’s a day where we randomly choose an old journal, and share what we wrote a year or maybe a decade or maybe just a month ago. It depends on which journal we randomly choose. It’s always fun, insightful and encouraging. I randomly chose a journal from early last year. I turned to a random page, which revealed some murmurings, which I wasn’t sure were very inspiring. (I actually thumbed through the pages to find something more uplifting, but last winter and spring apparently were overshadowed by me enduring several colds, grieving the loss of Les’ father and taking care of Les when he broke his elbow.) So I decided to just share the page I opened to this afternoon. I like starting a journal entry with a prompt sometimes. One of my favorites is “I feel…” So here how I responded on February 12, 2014. I feel . . .overwhelmed! I have a headache…is below zero temps and I am supposed to stand at bus stop with kids this am…I have a full schedule–but not unreasonable–still just want to stay home a lot–but I push through and go out…maybe next week will be better — NOT! Father God -I need help and rest and strength to say no sometimes. The rest of the entry talks about things I have to do and how I feel about them. Then in the wavy lines, I wrote a list of blessings. I often write out a gratitude list, when I feel overwhelmed. Very random, and in the moment thoughts. I am glad to have captured them, and it’s amazing how much life has changed since last year. Our oldest son is engaged and getting married in a couple months. My mom and sister and the four kids moved across the neighborhood. Still close, but not around the corner. I have survived the last couple months of winter here in St. Louis. And God is faithfully empowering me to keep journaling, blogging and creating art. 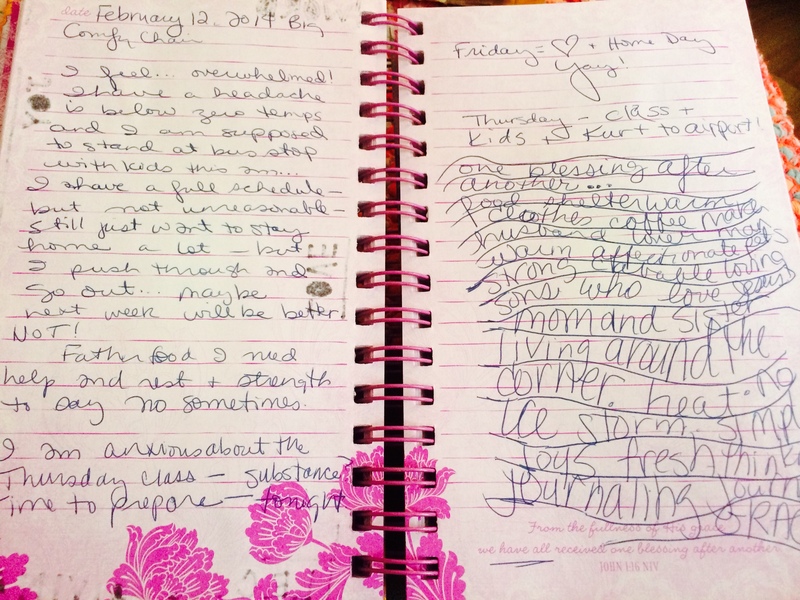 I also marvel that last February, God inspired me to create 28 Days of Being YOU, an art journaling journey, which became 28 Weeks of Being YOU. It’s not a surprise that I was overwhelmed! It’s amazing what God accomplishes through our lives. And so, I give Him thanks for this record and this encounter of His grace in the pages of a humble journal. I’ll leave you with a simple collage that I made in this same journal. 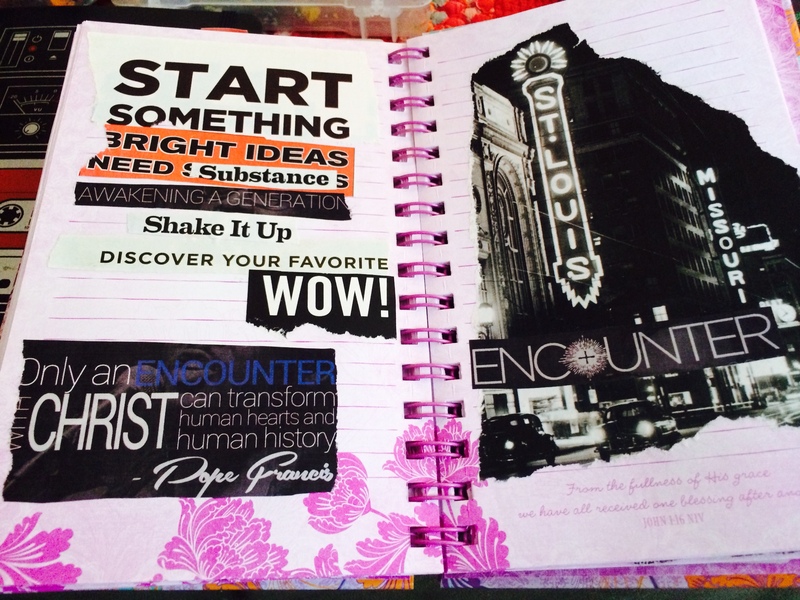 It was the beginning of using collage to “meet” with God, like I did in October 2014 with the GOD+ART series. Hi kel! I am grateful that you made it here this month! I so love to see your collage and read your meanderings. I also tend to write lists when overwhelmed. 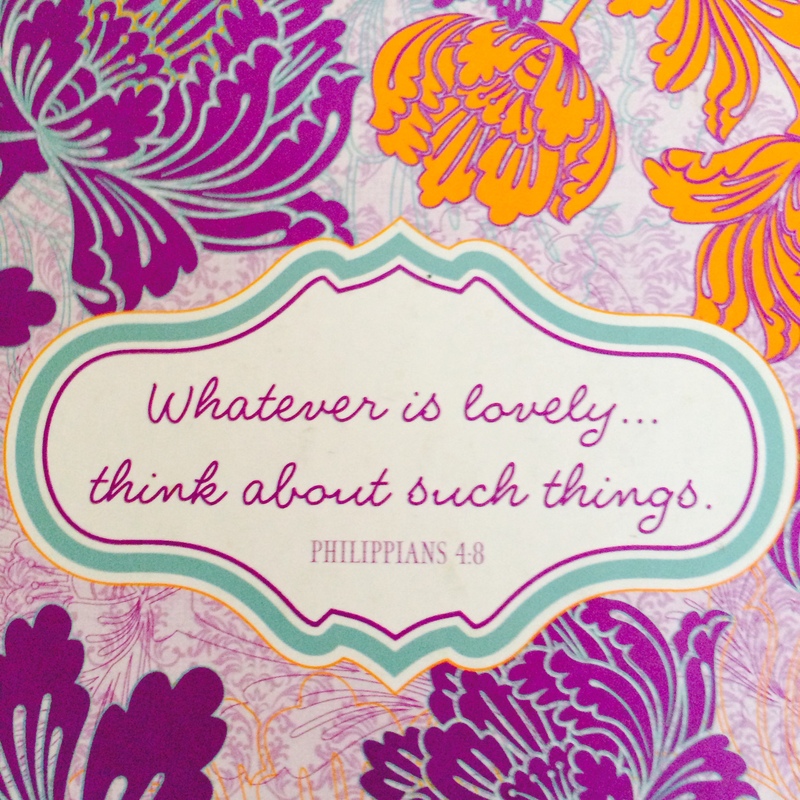 Counting blessings increases my joy…decreases lack. Hugs. Amazing all that God does through creativity in our lives. KEL: I also am grateful to see you here this month. Sometimes when I am overwhelmed, I just vegetate. Other times, I try to do something productive, I have some friends who can pull me out of that feeling. Right now, I am feeling happy but reserved. With our son living in the same state–100 miles away, I can say that our lives have a smile on. My reaction to being overwhelmed will change with the warmer weather coming and it IS coming.